Can you smell it in the air? The sweet scent of pumpkin spice mixed with the earthy odor of fallen leaves. I don’t know about you, but I LOVE the holiday season! Sure, I complain about the Christmas displays going up in stores before Halloween is even over, but underneath my crusty scrooge-like exterior, I’m really just an old romantic softie. Shhh. It’ll be our secret? All year long I write about the latest technology, and my next blog will likely be about the iPhone 4s I ordered (written entirely using the Siri application)… but do you know what? I still love the nostalgia of this wonderful season! I love the sights, the sounds and the smells. I even love the gift catalogs that come in the mail. And even more than that, I love the CARDS! There is something special about getting mail. I know that goes against my whole technocentric approach to the world, but I admit it; no “you’ve got mail” voice on my computer or phone will ever replace the old fashioned, nostalgic joy of receiving a card or a letter from friends and family. And if there are pictures included, I love it even more! Don’t you? Many of my friends live far away now, and ever since we all started getting married, my favorite Christmas Cards are the ones with photos, like these from Shutterfly. At first the cards were a picture of a friend, their spouse and a dog or cat (being tortured with a silly hat on its head), but now I watch their kids grow up via these cards each year. Sure I keep up with them on Facebook, but you can’t stick Facebook on your fridge. Ours is covered with photo cards. There’s something else from Shutterfly that I was really surprised how much I loved. It’s their Photo Books! I’m looking at one right now on the bookshelf opposite my desk that my wife made up from our wedding photos. She customized (and said it was really simple and fun) books for the immediate family, complete with captions and cool formatting, as a thank you gift after the wedding. This year I’m planning to make some up with photos of my little girl, to give to the grandparents. Yes, they are on Facebook, too, but these books are wicked cool gifts. Oh, and don’t go sending your cards out this year with the freebie labels some charity you didn’t even donate to sent you in the mail! Take a look at all the wonderful mailing labels Shutterfly has that you can customize for every occasion… you can even put your own photos on them. I always mean to send Christmas cards- but then the last few years the months have gotten ahead of me- and I didn’t! This year I am doing it! Wow… you must really want those cards! They are super cool Thanks for using all four ways to enter… quadrupling your odds. 🙂 Remember you can bookmark this page and use the retweet option once a day until the contest closes! Thanks again! GOOD LUCK! Hi, just wanted to let you know that I’m visiting from MBS Alexa Hop! I liked you on FB, followed you on Twitter, joined your GFC and left you and Alexa review! Hope you return the favor! Thank you so much, LaDonna. I thought I already responded to your comment, but perhaps not. I’ll def return the favor. Thank you so much for dropping by, and good luck with the contest. It ends tonight at midnight. Wait until your friends start sending you updates. I love hearing what their families are up to although at times I was just a little bit jealous since they seem to have perfect kids, perfect vacations and perfect lives. Then I remember that they weren’t all that perfect when they lived close by. Nothing had changed except they only reported the good stuff. LOL. You’re absolutely right, Ann. I find the same thing happens on blogs. We are all human and have our ups and downs… we just don’t put it in our Christmas cards. Thanks for your entries and GOOD LUCK! i love Christmas because it is all about giving! I do send Christmas cards. I love shutterfly and make many photo books and calendars for grammies and grandpas! I have never sent out Hanukkah cards before. This will be our first yr. i recently found shutterfly and i’m so inspired and i’m looking so forward to sending out card to all our family and friends near and far. i guess it will be about 100 or so. I can’t wait to take our pics. I just love this time of yr. the seasons changing, the smell of wood burning in the air, the leaves all bright in color. I can’t wait to start cooking for Hanukkah.!! The smell of wood burning in the air, the leaves and all the colors… you are so right. I just LOVE it. I’ve never sent Hanukkah cards before either, but then I’m not Jewish, so that’s not so odd. 😉 Have a wonderful holiday season, Lori! I love your blog! Its refreshing to read a male’s point of view to the child rearing world! I found your blog on the Alexa blog hop! I’ve followed your blog on twitter and look forward to reading more posts! I’d love support at my weight loss blog! Cool. I just found the Alexa blog hop. I’ll def check out yours after I get the wee one bathed and to bed. I’ll support you with your weight loss if you support. I blogged about that, too! I always use shutterfly for my photo cards! We’ve been using Shutterfly for many years now. My wife made great photo books as gifts for family after our wedding. They keep coming out with more and more cool stuff! Thanks so much for stopping by, Sheila! I’m following you, too, Sheila. I read you are nursing a baby with a cold & stuffed nose. Not fun. Hang in there! I love Shutterfly and Christmas! I love sending out personalized cards to friends and family! I am so sorry to hear of your loss, Anna. I wrote about something similar last year (concerning my dad https://adaddyblog.com/2010/12/i-miss-you-dad/). Our sympathies are with you and your family. It’s especially hard at Christmas. I agree, though, Christmas is wonderful, especially with kids. And yes, sending and getting photo cards are the best. Good luck, Anna! I LOVE giving and receiving Christmas Cards! I always get excited about this time of year, expecially now that I have children. Hi Beth! Yes, doesn’t having kids help bring all the magic of Christmas we remember as children right back? I love everything about it! Thanks so much for stopping by. I love how people come together at Christmas. I do send Christmas cards to family and friends so they can see how much my son has grown throughout the year. It is wonderful how Christmas can bring people together, isn’t it, Jessica? 🙂 And yes, the photo cards are the ones I enjoy the most. We work each year to find the perfect photo of our little girl to share. Thanks, Jessica. I love autumn because of making traditional homemade pumpkin pies for my hubby. He loves ’em! We send about 75 Christmas cards to our relatives on both sides of the family, to long-term friends who have moved away, and to college buddies. Stopping over from the MBS alexa hop!! following via GFC and networked blogs!! Leaving you a review right now, I’d love you to follow and review back please! Thanks! Hi, Debbie. Because of your added link at the end of your comment you got stuck in the spam filter. Sorry. I rescued it. Thanks so much for the review on Alexa. I’m new to all of that. Must check it out, and will def review your site. Be sure to join us for tonights Twitter Party (big prizes) at 7pm Central. More at the link below. Regardless have a super night! I love Shutterfly cards. 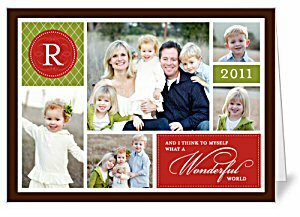 I’ve been using them for a few years now, not just for Holiday cards, but for thank you cards, everyday run of the mill cards, and just good quality photo gifts in general. Great giveaway, thanks! Hello Bianca. Wow… you were quick to drop by my site. Thank you. Good luck with the giveaway. Hope I’ll see you on #SleepNumber Twitter Chat Pillow Party at 7pm tonight. You might be a double winner! I just discovered your blog and love it!! I also love shutterfly it’s so hard to pick out a design! 🙂 Thank you! Hi Fawnice. I’m so happy to be found! 🙂 Yes, Shutterfly is really great, aren’t they. They bought another company called TinyPrints a while back (it’s not part of this giveaway), but if you don’t win this check them out, too. Good luck! I looove sending and receiving holiday cards. I haven’t managed to do it the last 2 years and we had ppl call and email wondering if they didn’t make the cut. My husband and I write one of “those’ letters and ppl always find it highly amusing. following via GFC and networked blogs!! Stopping over from the MBS alexa hop!! We send about 75 Christmas cards to our relatives on both sides of the family, to long-term friends who have moved away, and to college buddies. I’d love support at my weight loss blog! Thanks, Pansy. I’ve never been able to put out that many cards. I find custom cards a wonderful tool during an overburdened holiday season. Happy to help as I can. Hope you’re year’s gotten off to a great start?